It took the European institutions a year and a half to discuss and agree on the legislative package for enhanced economic governance in the EU. The so called ‘Six Pack’ includes measures, aimed at strengthening the Stability and Growth Pact, while introducing for the first time surveillance of macroeconomic imbalances in the EU. However, while the European Parliament and the Council were arguing on some concrete details in the new legislation, the crisis reached the heart of the euro area and it became clear that without a solid and centralised arm the monetary union may not survive. So even before the ink of the ‘Six Pack’ was dry, the European Commission proposed a new package of two proposals, which was named ‘Two Pack’. The new proposals aim to strengthen governance in the euro area so that Brussels to be entitled to intervene in the budgetary policies of member states and to keep under control the situation in countries with rescue loans (or candidates for such). On February 21 the Council of EU finance ministers has approved a position on the basis of which negotiations to start with the European Parliament, so the regulations to be adopted on first reading. However, it is already clear that there will be another tough round of negotiations. The very first discussion on the ‘Two Pack’ in the EP`s economic committee clearly showed the main lines of MEPs' resistance. One is the opposition of representatives of the left spectrum to the proposal countries with rescue programmes to be sanctioned for non compliance with suspension of EU funds. 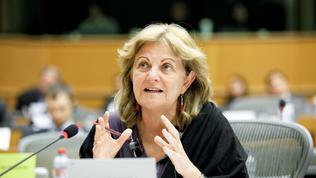 The other main MEPs criticism is related to the democratic legitimacy of Brussels`s excessive control. This has been particularly emphasised by the Greens, arguing that the European Commission would get too much power without being accountable to anyone. Additional tension was created during the discussions of the Treaty on Stability, Coordination and Governance in the euro area (also known as the Fiscal Pact), to which MEPs are generally critical because of its intergovernmental nature. 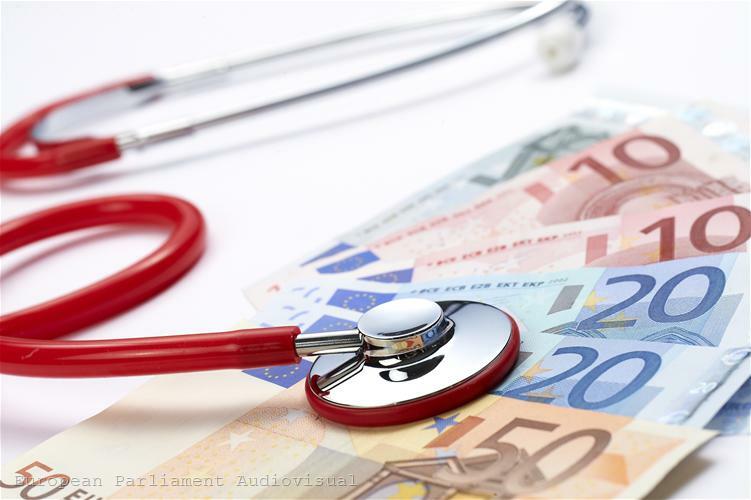 MEPs from the right European People's Party, however, insisted the new Commission proposals to be used to introduce as much of the fiscal pact as possible into the European legal framework. All these opinions are reflected in the draft reports on the two proposals of Jean-Paul Gauzes (EPP, France) for monitoring of countries with bailout programmes and of Elisa Ferreira (Socialist & Democrats, Portugal) for increased budgetary surveillance in the euro area . Ms Ferreira's report clearly reflects the strife for cutting the Commission's powers in relation to national budgets vis-a-vis the proposal. This is evident even from the change of the peremptory tone in the Commission proposal (member states "shall" and "must") toward a softer wording in the EP's report - "the member states may be asked to". But the most significant change is that according to the report the European Commission cannot simply ask the countries to change their budget plans, but this power should be delegated to it by the Council and the parliament. Moreover, one of the conditions of this delegation of power is the Commission's decisions to enter into force only if they are not opposed by Parliament and the Council within two months, as the period may be extended by another two months. According to the draft report, the Commission will receive those delegated powers for a period of 3 years, which may be extended at the discretion of the Parliament and the Council. This amendment clearly reflects the MEPs concern that the Commission receives very broad powers, but on the other hand it kills the whole concept of rapid response and simplified procedures. Perhaps the changes will appeal to leftist lawmakers, but are likely to face opposition from the right wing. With regard to countries in excessive deficit procedure, a whole new element is added in the report - they must submit to the Council and the Commission an economic partnership programme, where to describe in details concrete measures to correct the excessive deficit. In case of severe economic downturn the programme should “include a slower adjustment path […] and the debt rule shall be coherently adjusted”. This amendment reflects the rapporteur`s position, shared also by the Socialists as a whole, that strict budgetary constraints rather hinder than help the troubled countries. By arguing that growth is more important than spending cuts, there is also another change in the report. While reporting their budget plans to Brussels, Member States must describe in detail “projected expenditure directly related to the achievement of the objectives embedded in the Union jobs and growth strategy, including public investments”. Expectedly, the European Parliament is also included in the discussion of the budgetary plans of Member States, together with the Eurogroup. The icing on the cake, however, is at the very final of the report: "This Regulation shall be accompanied, upon its entry into force, by the publication of a concrete roadmap for the implementation of stability bonds along the Commission green Paper […] and the immediate establishment of a [debt] Redemption Fund." This is plainly an ultimatum to the Commission, saying that in return for the enhanced budgetary control MEPs insist on pooling of euro area debt. 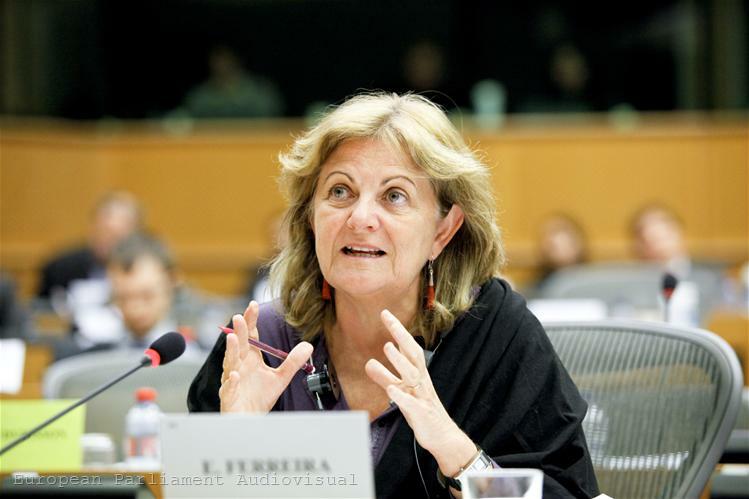 Given the strong opposition of some Member States (led by Germany and France) against this proposal and redundancy of the Commission, it is understandable that Ms Ferreira has chosen precisely this approach. 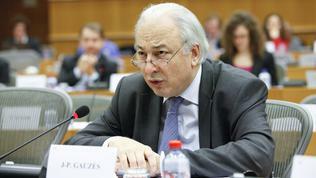 Amendments to the proposal on the monitoring of countries with rescue programmes in the Mr Gauzes`s report also meet the expectations. The text, saying countries to be sanctioned with suspension of EU funds, has been completely deleted from the regulation. The report introduces the so called 'reverse majority voting rule', according to which, if the Commission decides to put a country under an enhanced surveillance, the Council has 10 days to repeal the decision by simple majority. The same principle applies also to the approval of the adjustment programme for countries under enhanced surveillance and any changes on it thereto. The European Parliament is empowered to discuss financial assistance agreements with the management of the European Stability Mechanism. But Mr Gauzès`s report goes beyond the enhanced surveillance by introducing an entirely new procedure - placement of a member state under legal protection. If a Member State is at risk of enduring state of default or suspension of payments, the Commission may, after consulting the Council, adopt a decision placing the Member State under legal protection. The Council has 10 days to repeal the decision by simple majority. 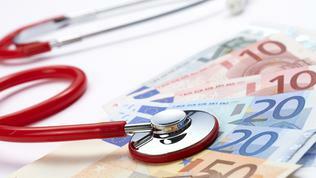 Thus, in fact the Commission takes over the country`s governance and the relations with its creditors. In this case 'credit event' provisions become inoperative, loans are serviced as a priority, and the creditors make themselves known to the Commission if they want their claims settled. National authorities must implement an adjustment programme, similar to countries with bailout loans and submit to the Commission a recovery and debt settlement plan for approval. The proposal clearly reflects the lessons from the Greek crisis. 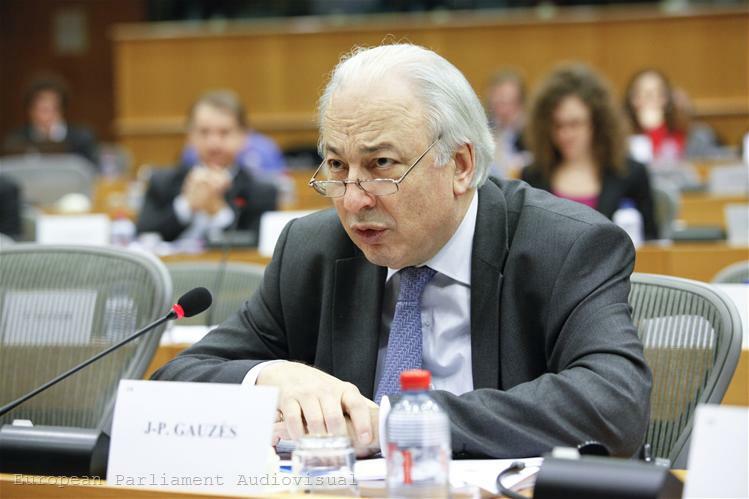 Mr Gauzes has also found a way to fulfil the commitment to introduce as much as possible of the fiscal pact into the EU law through the Commission proposal. The detailed description of enhanced surveillance reiterates the basic principles of the Treaty on Stability and Governance in the euro area (member states to report in advance their plans for debt issuance, to coordinate their economic policies, to discuss and coordinate major reforms). The fiscal compact with the balanced budget rule and the same criteria is almost literally repeated. The reports will be officially presented to the Economic Committee on 29 February and will be voted on 12 April.